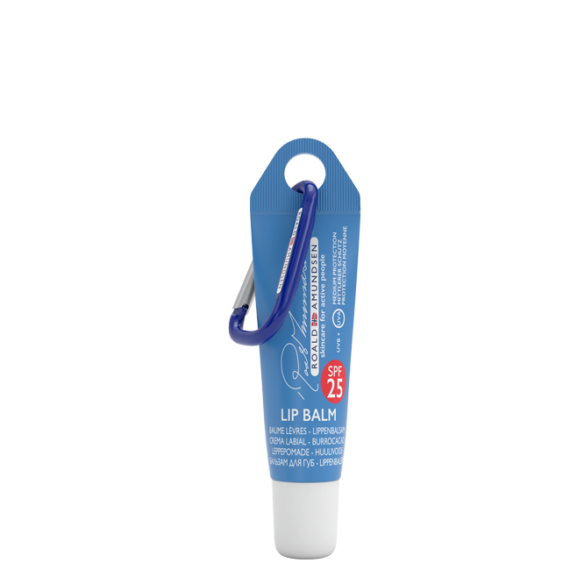 Roald Amundsen Lip Balm SPF 25 is a natural oil-based lip balm with SPF 25. 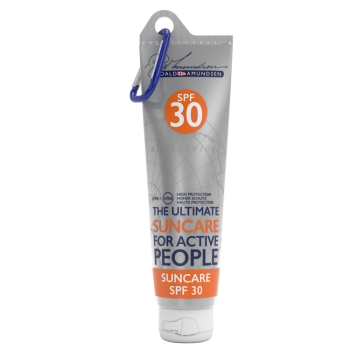 Medium UVA / UVB protection. The balm is enriched with Beeswax, which soothes, softens and relieves dry, chapped and irritated lips. The balm immediately protects, leaving your lips soft and smooth. Free of BHA, BHT, EDTA, formol or formaldehyde, mineral oil, paraben, phtalates, synthetic colorant and triclosan. 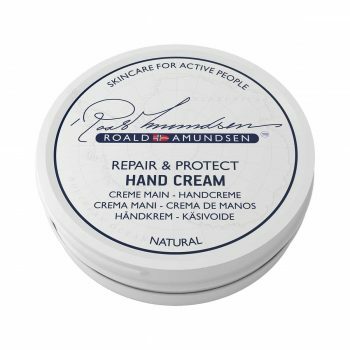 Roald Amundsen Lip Balm SPF 25 is a natural oil-based balm with SPF 25. 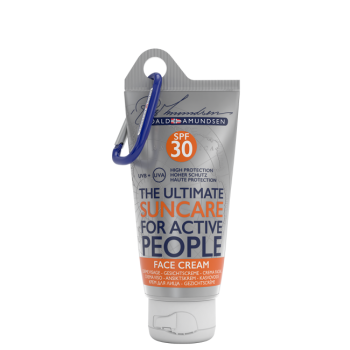 Medium UVA / UVB protection. The balm is based on beeswax, which help to nourish, repair, protect, soften and rejuvenate dry, dehydrated or sensitive lips. 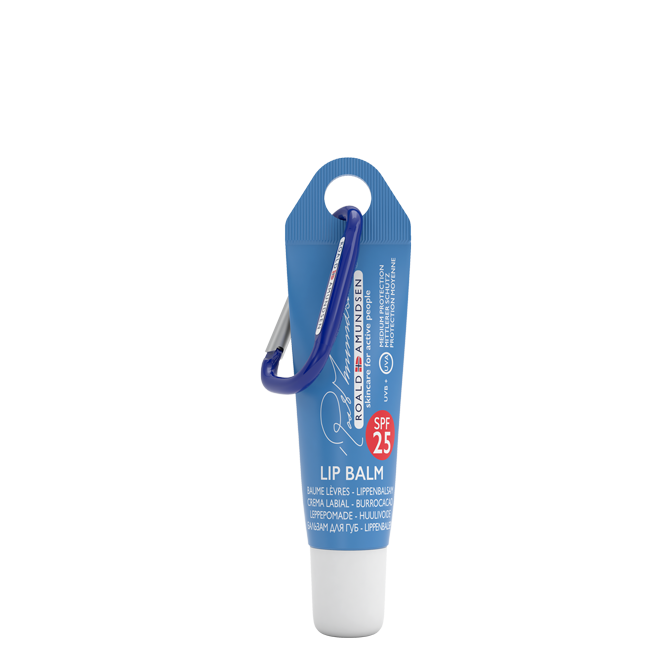 The Roald Amundsen Lip Balm SPF 25 protects lips against UVA / UVB rays, cold, wind, rain and harsh weather conditions. 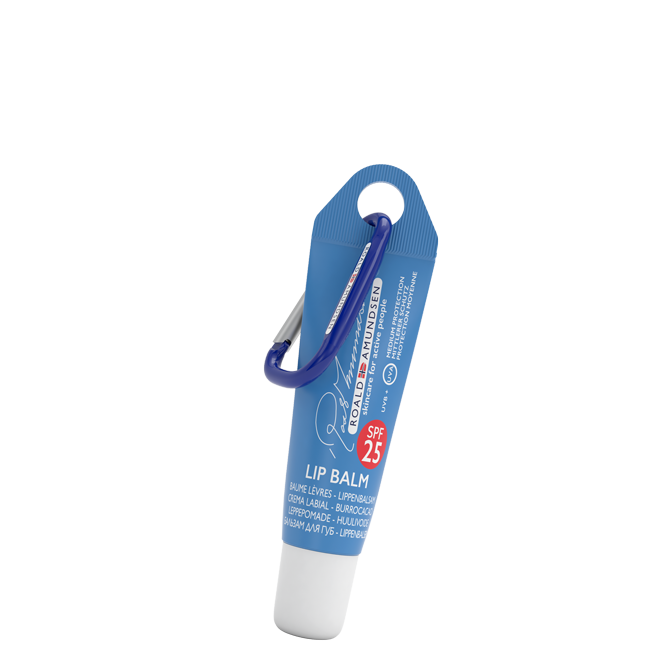 It soothes and relieves damaged lips and prevents chapped, dry lips. The balm immediately protects, leaving your lips soft and smooth. Ricinus Communis Seed Oil, Cocos Nucifera Oil, Isoamyl p-Methoxycinnamate, Diethylamino Hydroxybenzoyl Hexyl Benzoate, Cera Alba (Beeswax), Silica, Butyrospermum Parkii (Shea) Butter, CI 77891, Ethylhexyl Triazone, Bis-Ethylhexyloxyphenol Methoxyphenyl Triazine, Copernicia Cerifera Cera, Tocopherol, Ascorbyl Palmitate, Lecithin, Hydrogenated Palm Glycerides Citrate, Glycine Soja Oil. 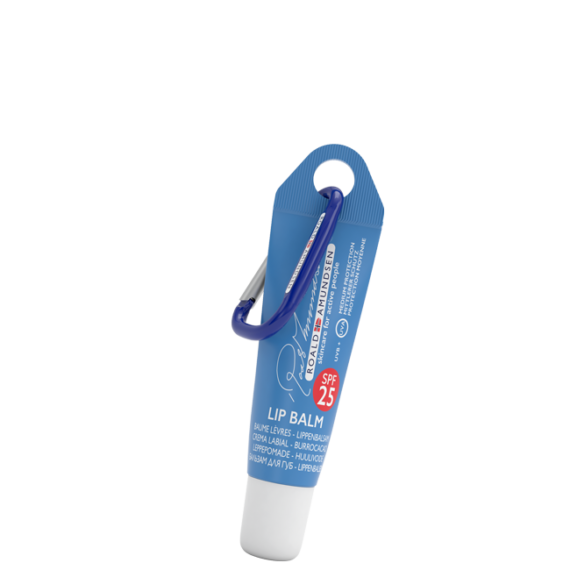 Suitable for anyone wishing to protect their lips from harmful external factors, dryness and the effect of passing time. Delicately apply a layer to your lips as often as necessary. Store in a room temperature, dry place away from direct sunlight and away from children. Up to 3 years from packaging date.